"That's the priority, it's always been the priority, always been the plan." Anthony Joshua's top priority remains an undisputed heavyweight fight against Deontay Wilder at Wembley on April 13, says promoter Eddie Hearn. Wilder's co-manager Shelly Finkel wants to resume negotiations for the Joshua fight, provided that terms remain private, and Matchroom Boxing boss Hearn is determined to agree a blockbuster bout with all the world titles at stake. "I won't talk about the negotiations we're having at the moment, because I did that last time and it bit me in the bottom," Hearn told Sky Sports News. 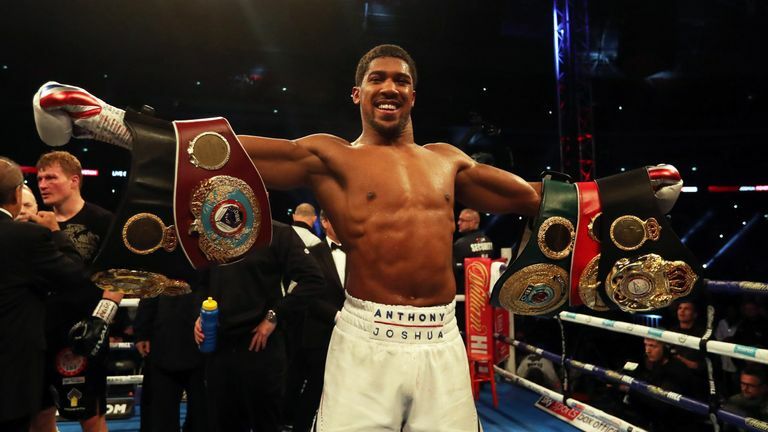 Joshua has also welcomed a British battle with Fury, who climbed off the canvas twice during the Wilder fight, only to be denied victory by the judges' scorecards in Los Angeles. "Josh still likes the Tyson Fury fight. I've spoken to him numerous times," said Hearn. "Josh is in camp now in America, and he would love to fight Fury, he would. "I've spoken to Fury yesterday, just said well done. I take my hat off to him. I was wrong. He proved me wrong against [Wladimir] Klitschko, he proved me wrong against Deontay Wilder. I think what he's done is remarkable. "I still believe Anthony Joshua is hands down the best heavyweight in the world. I believe he knocks out Deontay Wilder and Tyson Fury, but maybe I'll be wrong again, but it's a brilliant time for the heavyweight game. "There is a rematch that could happen between Wilder and Fury. But if Wilder really wants to be the undisputed heavyweight champion of the world, he must fight Joshua next, otherwise we may just all miss the boat on that one. But anything can happen."